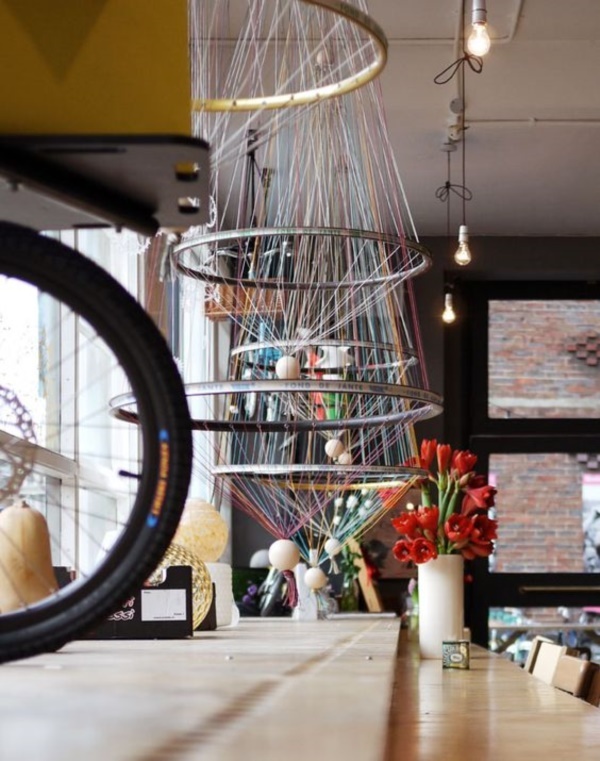 Art or rather crafts are often dependent on the way we approach and look at things – this is a statement that you may find confusing unless we provide you with some perspective. 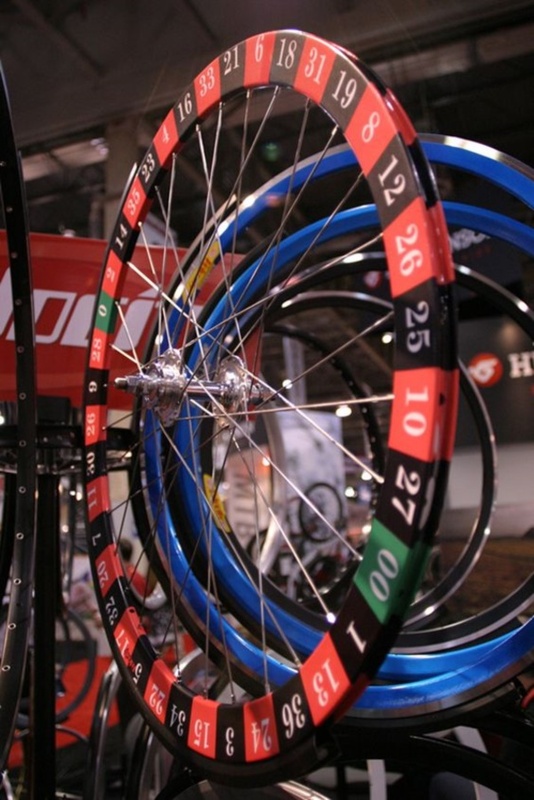 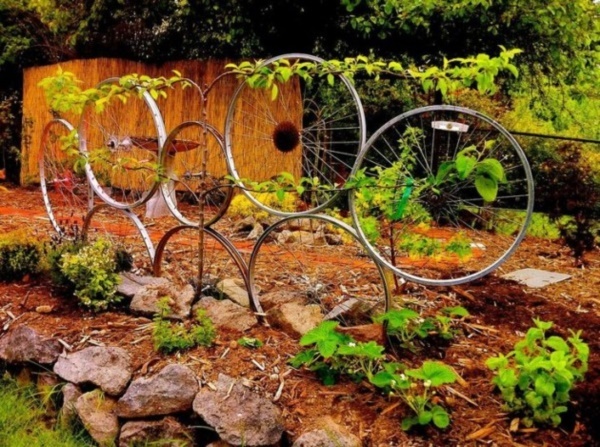 Let us take the old and unusable bicycle rims – though most of us may view this as some form of junk, others who have an active and creative imagination, may view it as Leonardo da Vinci would. 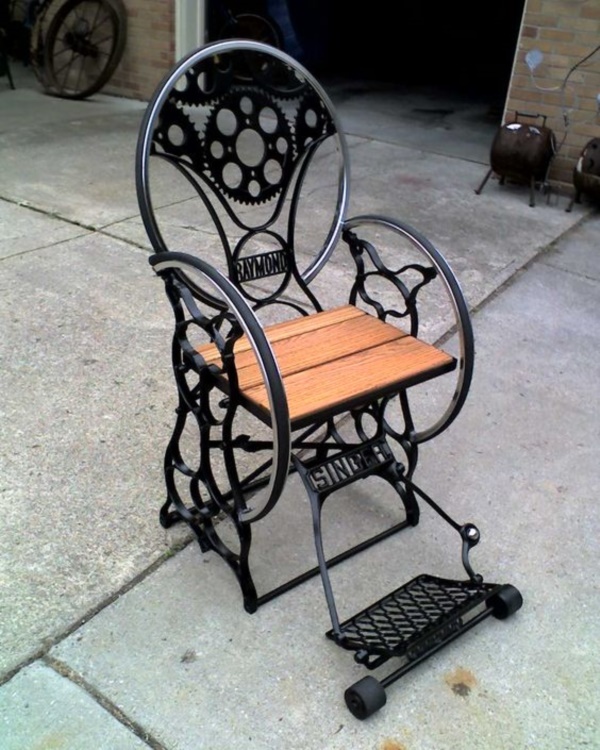 Which is to say creatively and find many uses for it and be able to create many items of decoration and utility around the home that may not occur to a person with limited creativity and thinking. 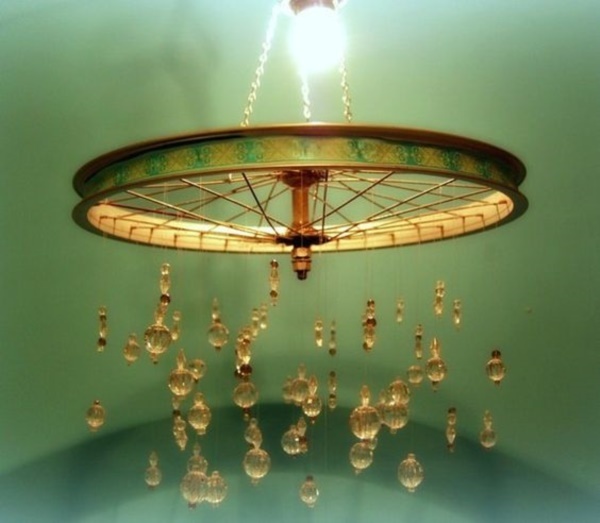 Now that we have explained to a certain extent about what we mean by the intriguing title, let us take a look at the possibilities. 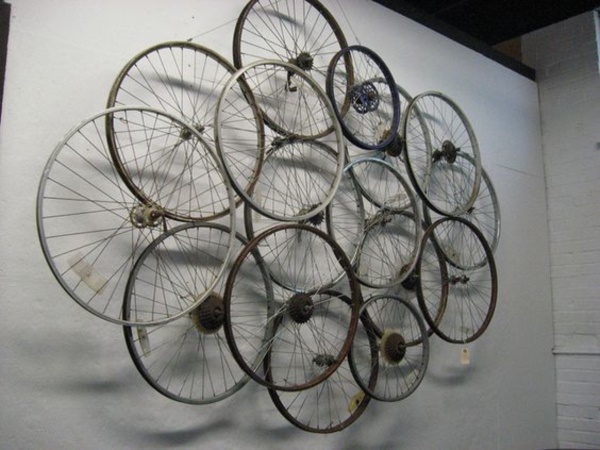 If you think that old bicycle rims do not have any use at all, then we suggest you take a look at the most creative recycled utensil sculptures by Subodh Gupta to know that this is not beyond the realm of possibility. 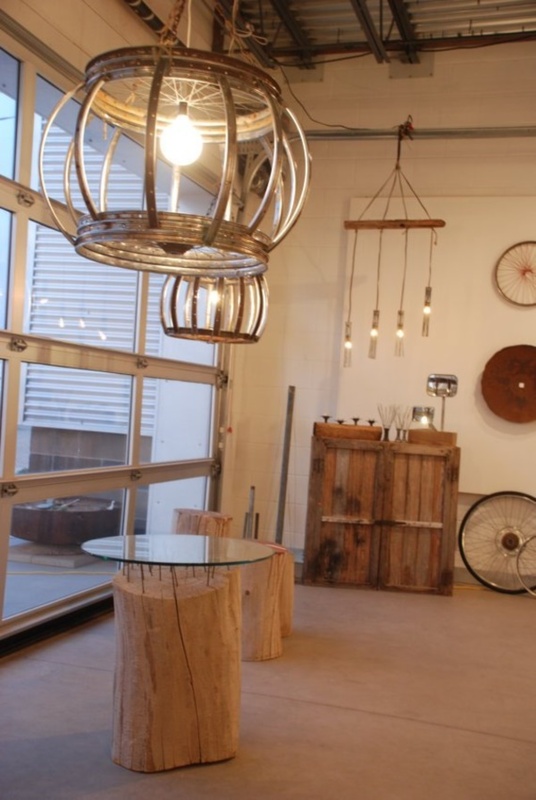 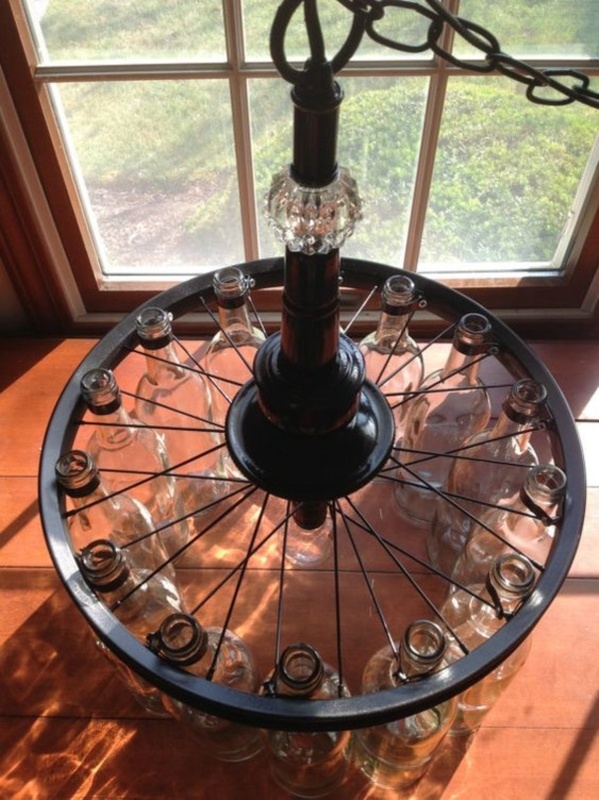 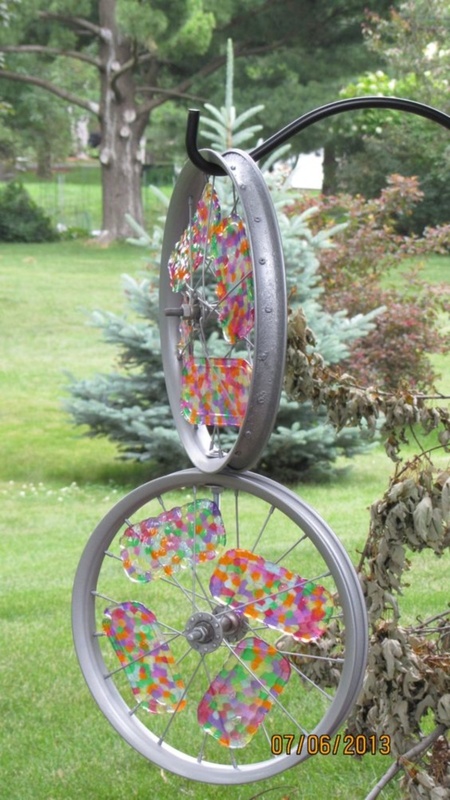 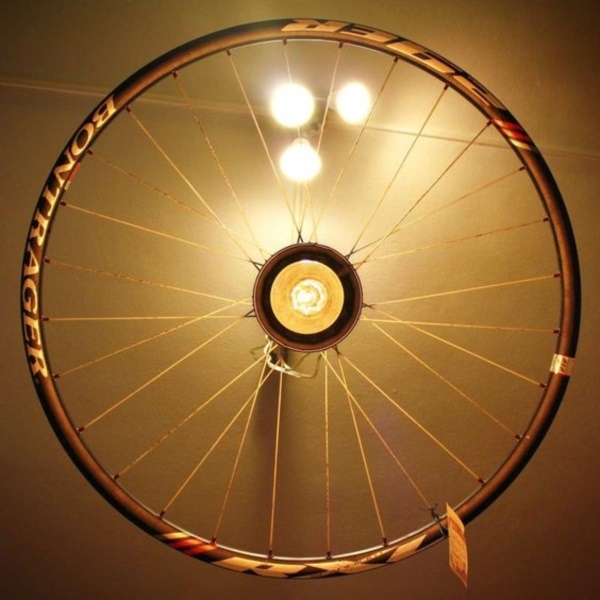 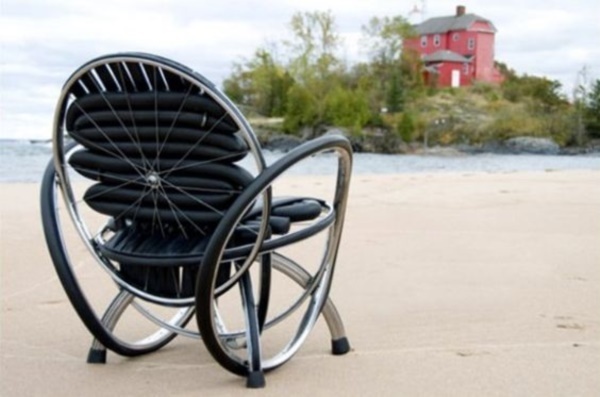 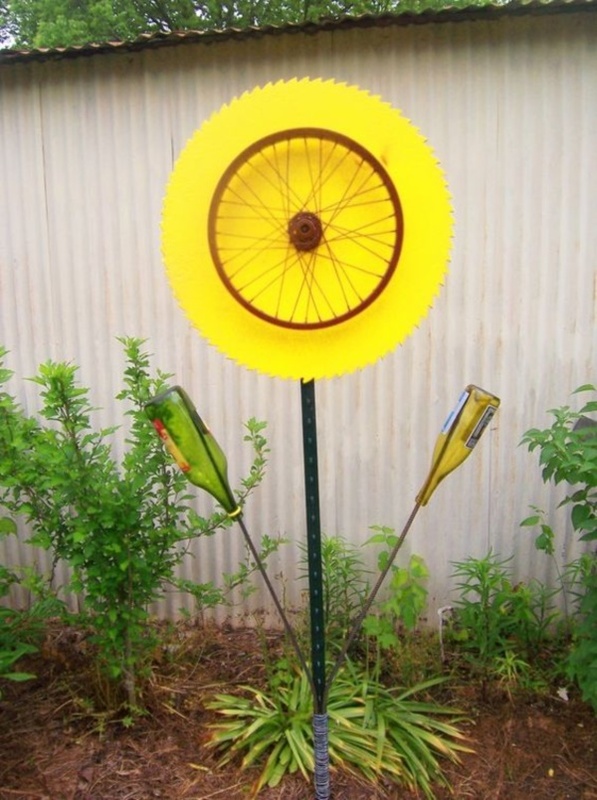 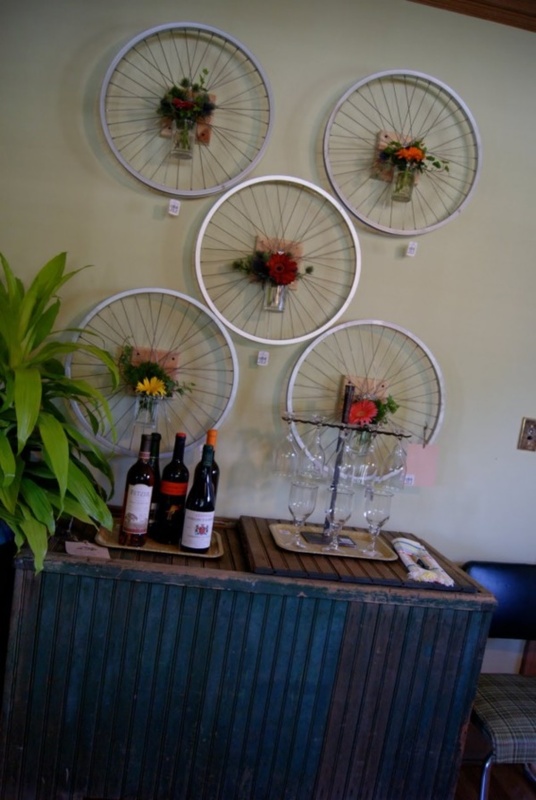 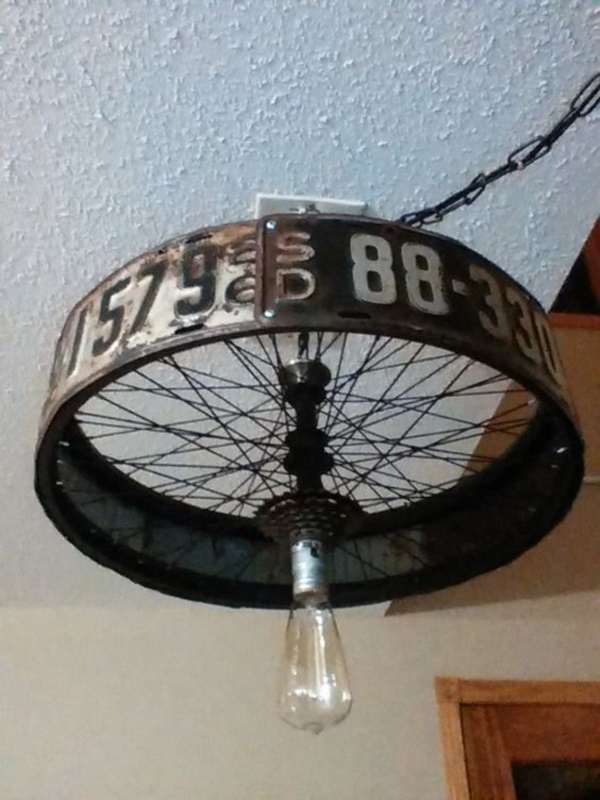 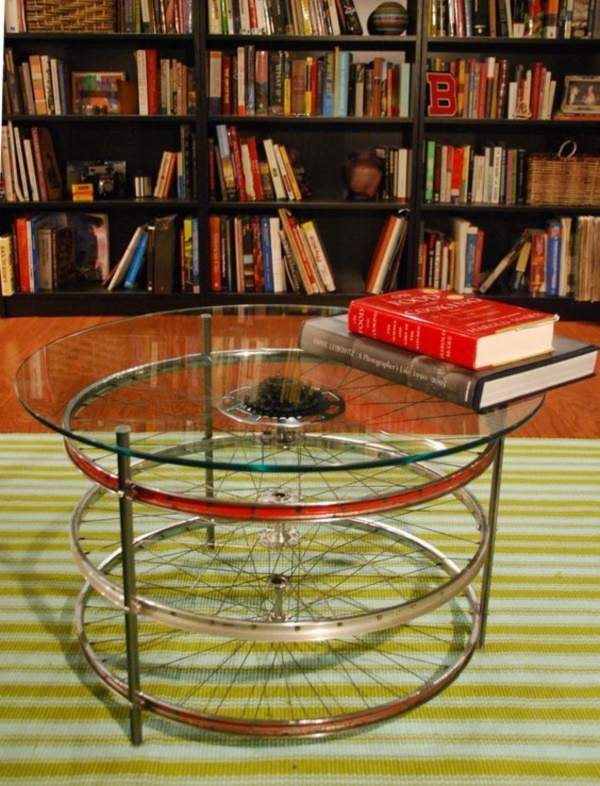 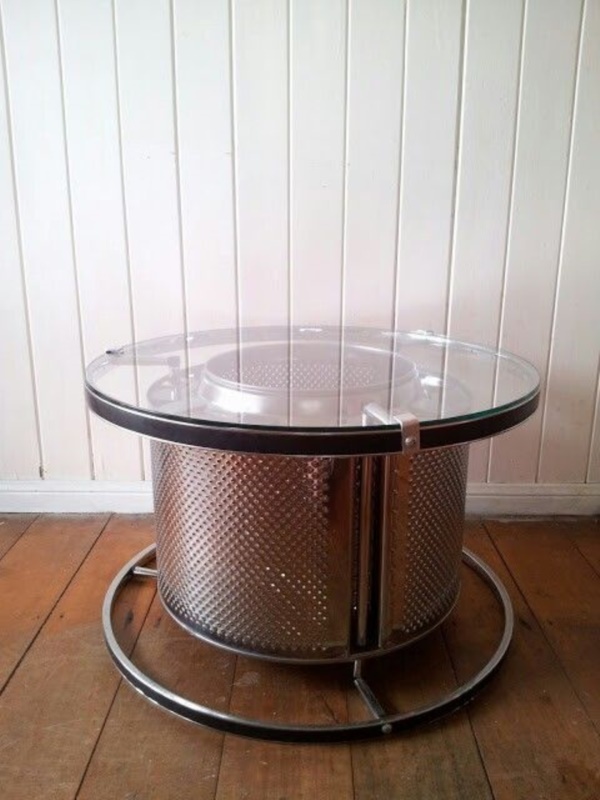 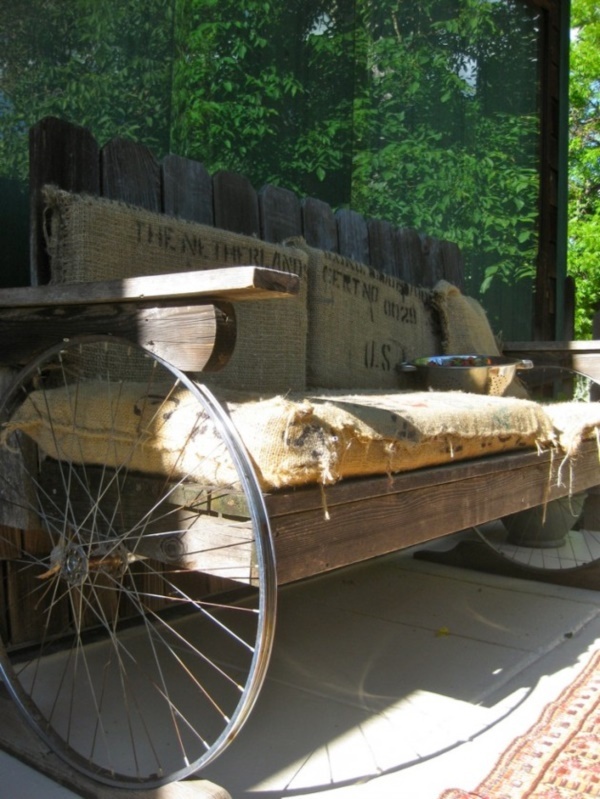 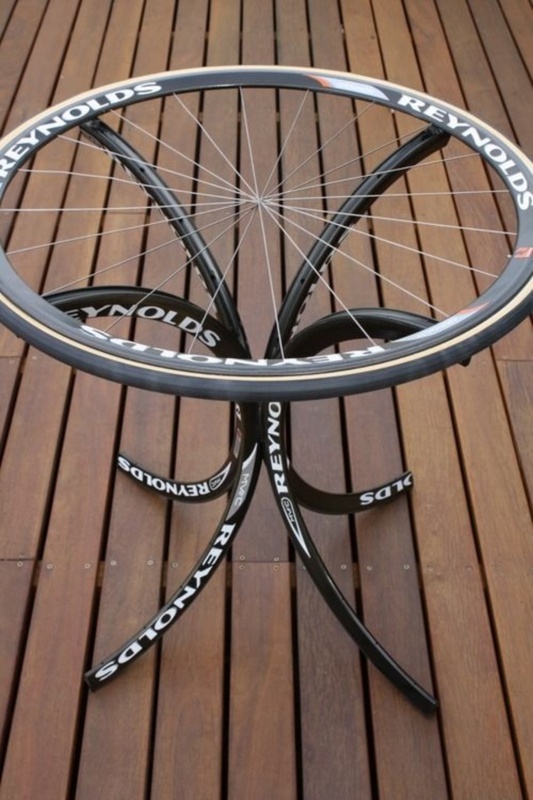 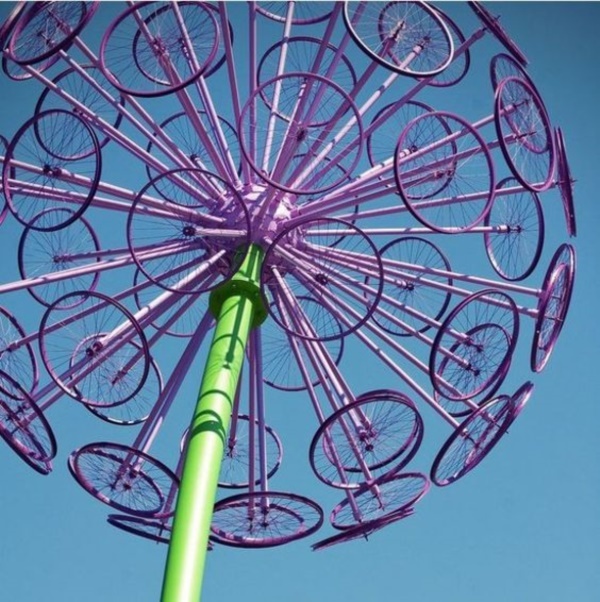 The idea of recycling old bicycle rims can have a lot of appeal to those who are into art and are also exploring the possibility of reusing things around the home. 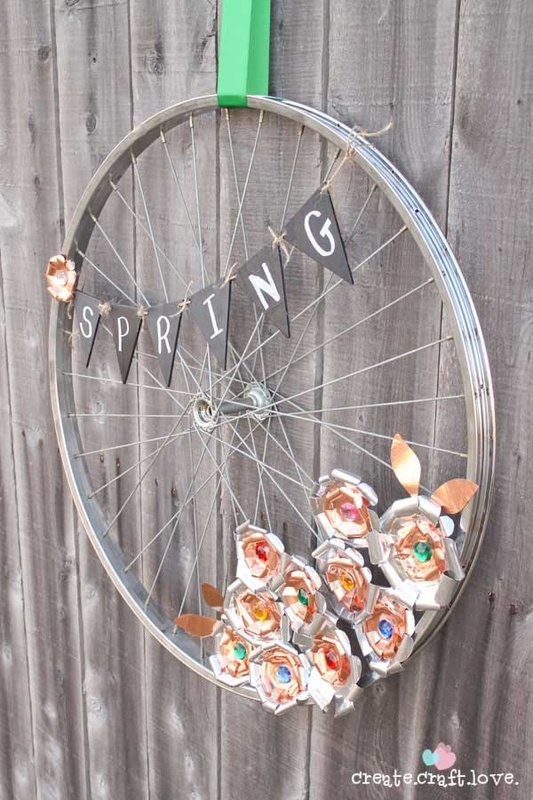 When you can have craft ideas using newspaper that is being recycled, then why not go one step ahead and recycle bicycle rims the Leonardo da Vinci way? 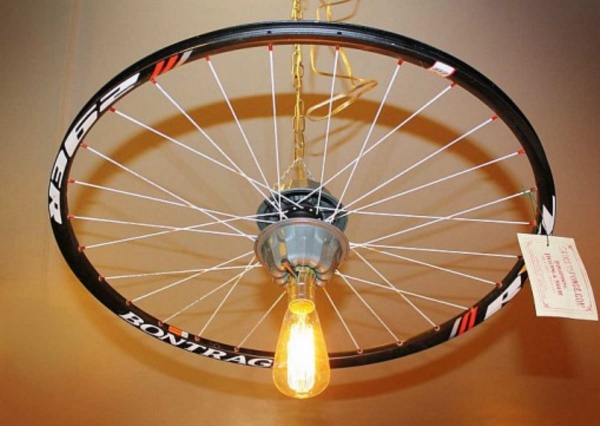 That is why we suggest that you get over your addiction of recycled lamps that are borderline genius and start concentrating on making the wheels of imagination go round (pun intended) in another direction. 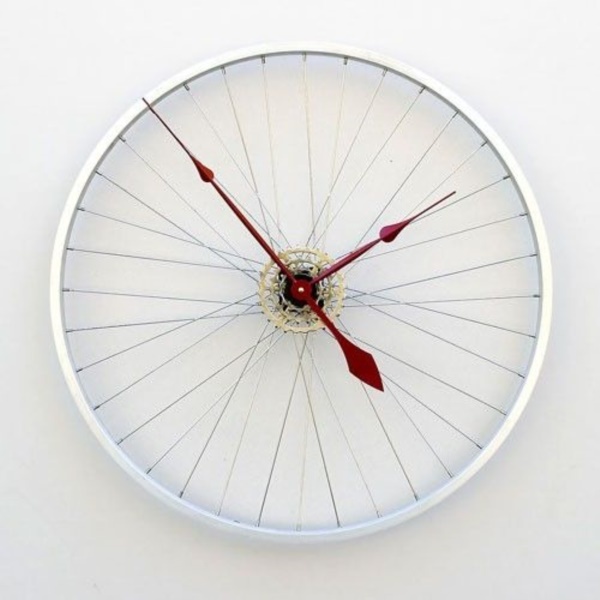 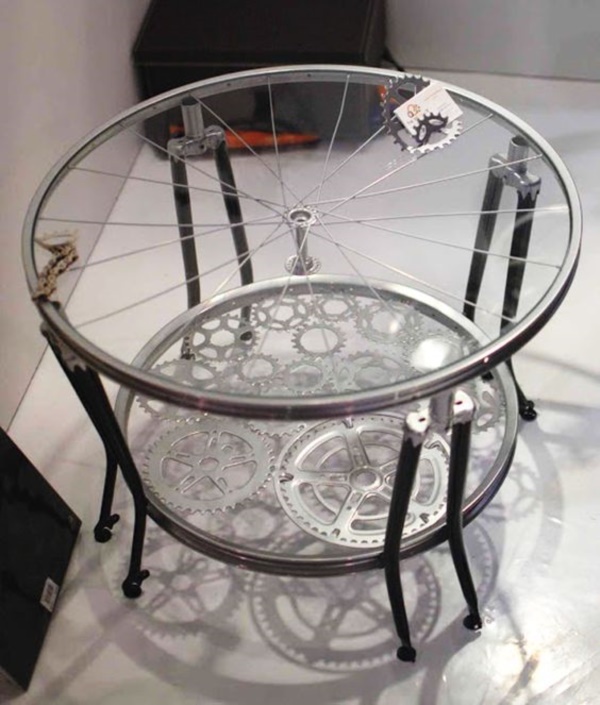 Convert to clock: Clocks are round and so are the bicycle wheels, and while the resemblance ends here, why not take it to another level? 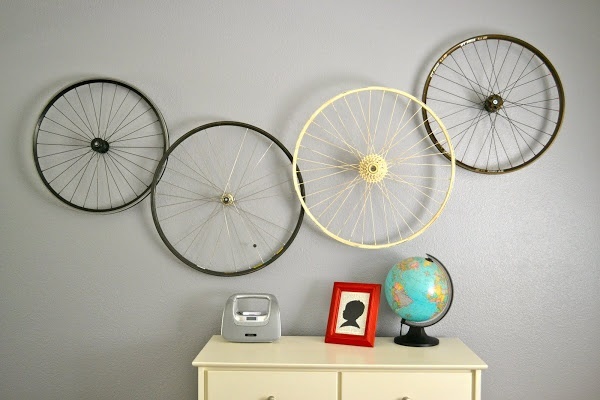 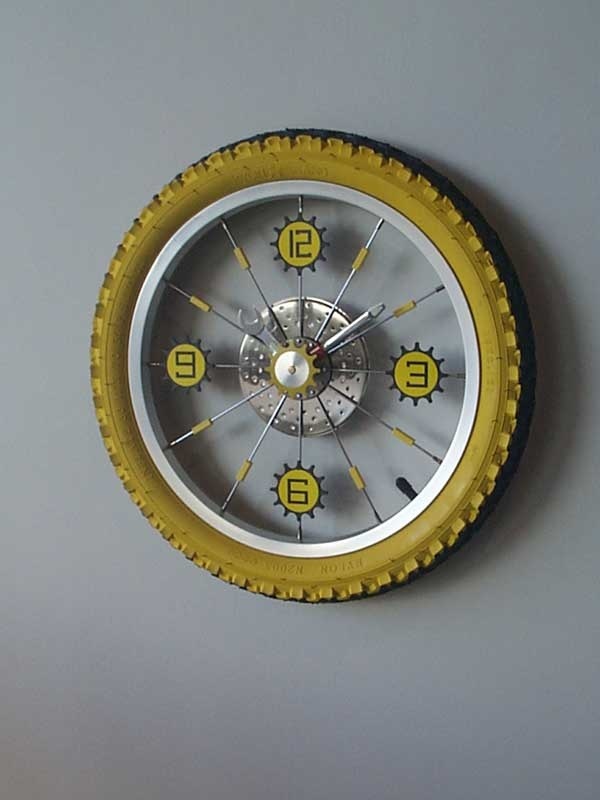 Creating a simple clock using the spokes of the bicycle wheel along with the round shape is a great project for kids around the home and will also help you add a unique decoration touch to your home. 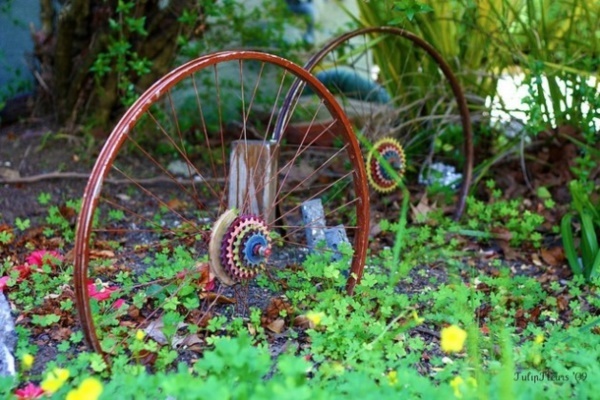 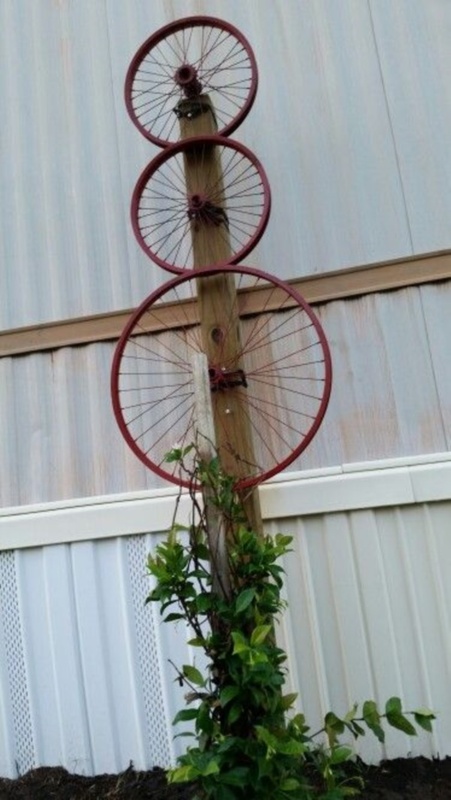 Fence it up: Bicycle wheels are pretty sturdy and have spokes to keep small objects from getting through and stringing together a few to make a fence for your garden is a good way to go. 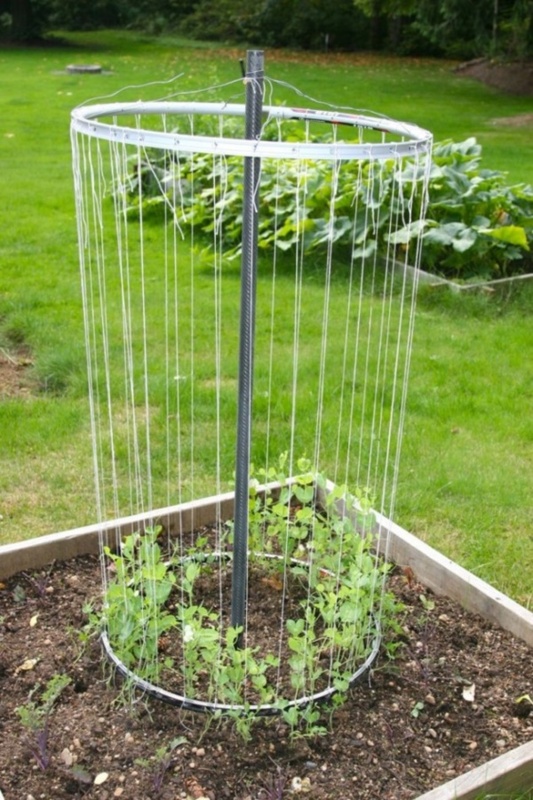 And you can also use it as a grill for your balcony or the outside spaces like the porch or patio to ensure that you have a bit of privacy but without compromising the access to sunshine and air. 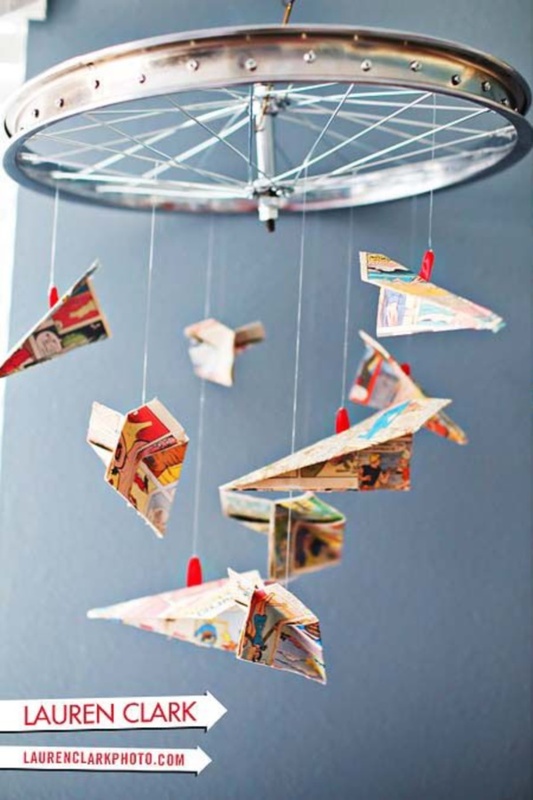 Mobile for babies: Add some strings to the bicycle spokes and hang interesting objects on this to hang over the baby’s crib. 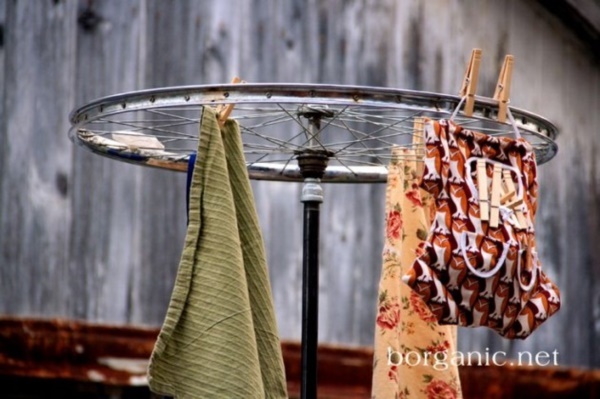 You can use the noise, color and movement to keep the baby occupied and entertained when you are busy doing your chores. 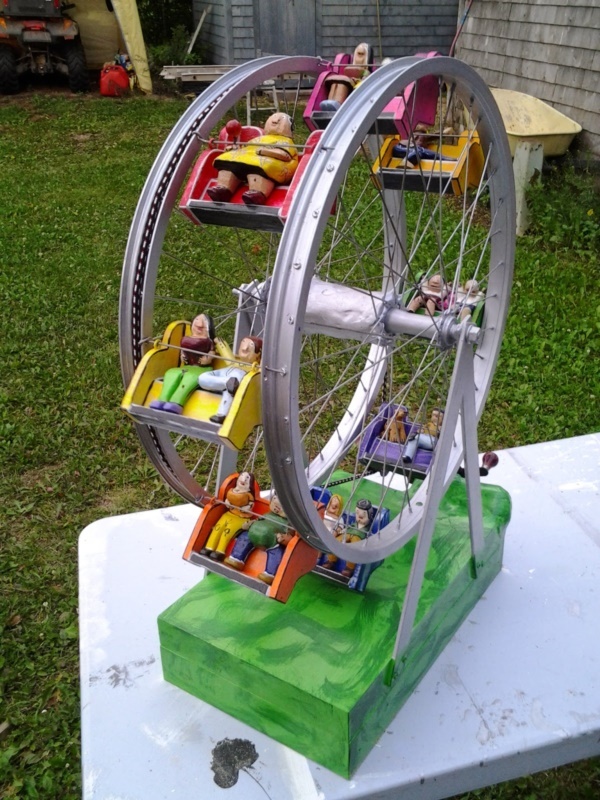 It would also be a good idea to keep changing the toys and things that you hang from the wheel to keep the baby from getting bored. 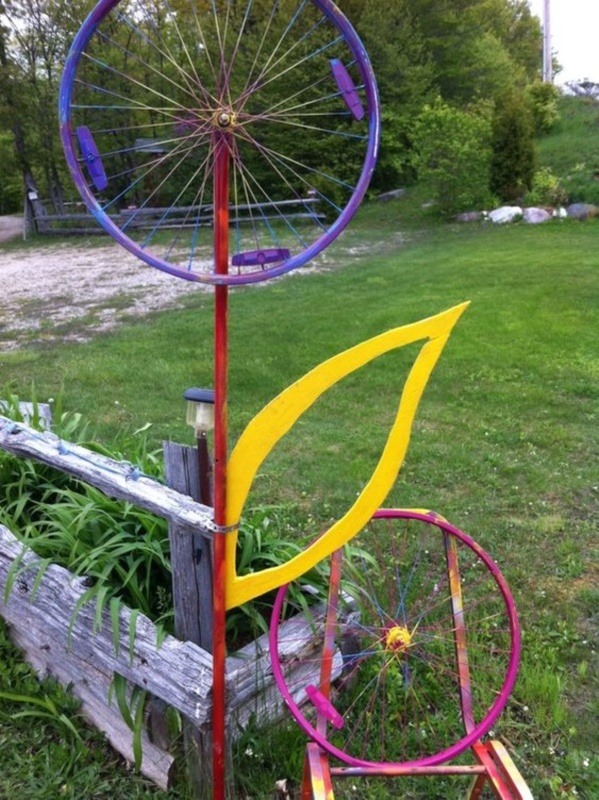 Color wheel: It is a wheel and has spokes which means that you can easily use it to store colors when you are taking up an art project with a few changes and adjustments. 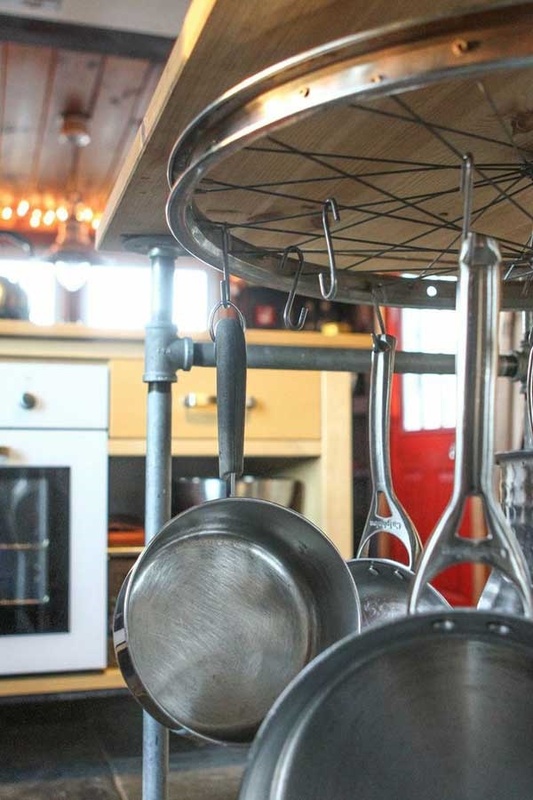 This is a very simple but effective way to manage your colors when you want to simply and absolutely concentrate on your work rather than spend a lot of time searching for the colors and shades that you require for your project. 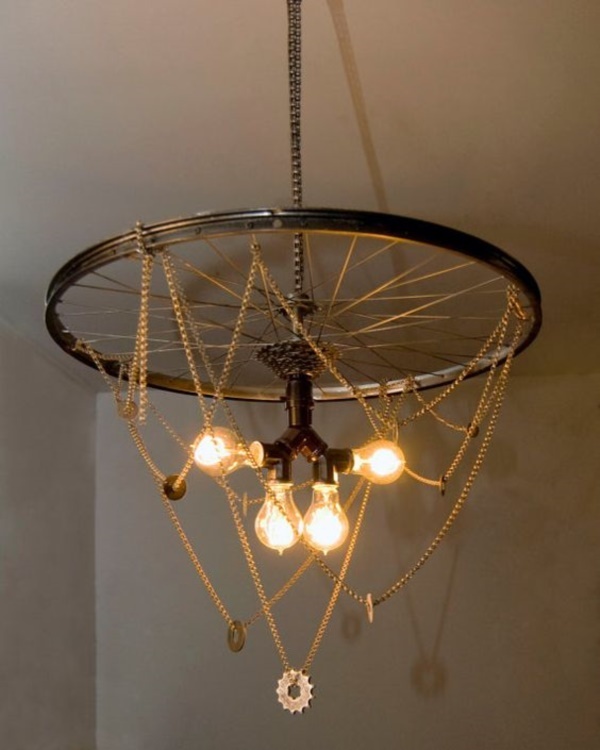 Chandelier it up: Hang simple bulbs or even candle holders to the spokes of the bicycle wheel and you have a chandelier going for you. 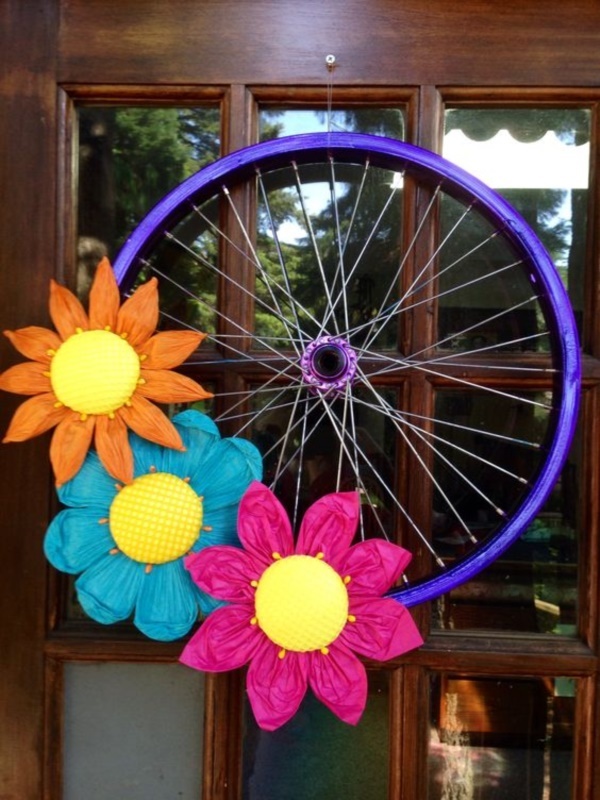 You can encourage the youngsters in the family to take up projects like this to encourage them to decorate their own space within a small budget. 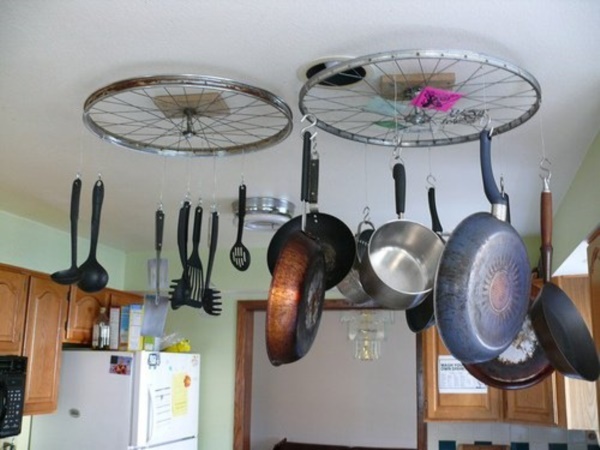 You will have to seek help on aspects like wiring but it still should be an economical deal. 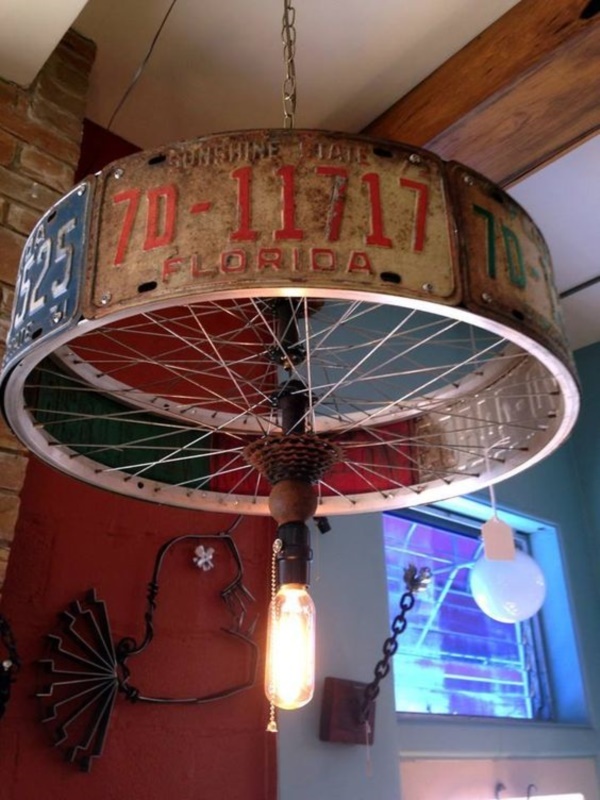 Lampshade: A bicycle wheel can easily be converted to a lampshade with a few small touches and this can be used to add a charming and utilitarian touch to a book nook that you may create around the home. 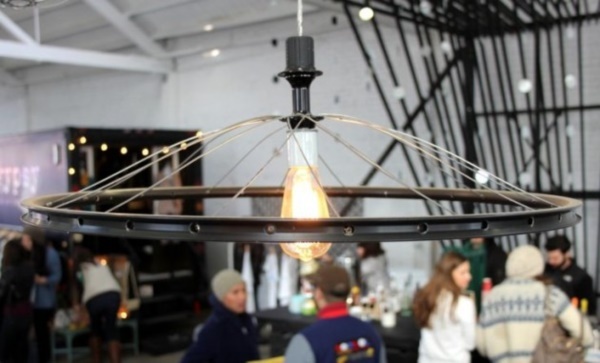 Once again, we feel that it would be a good idea to seek expert help when it comes to the wiring aspects of the lamp that you are creating. 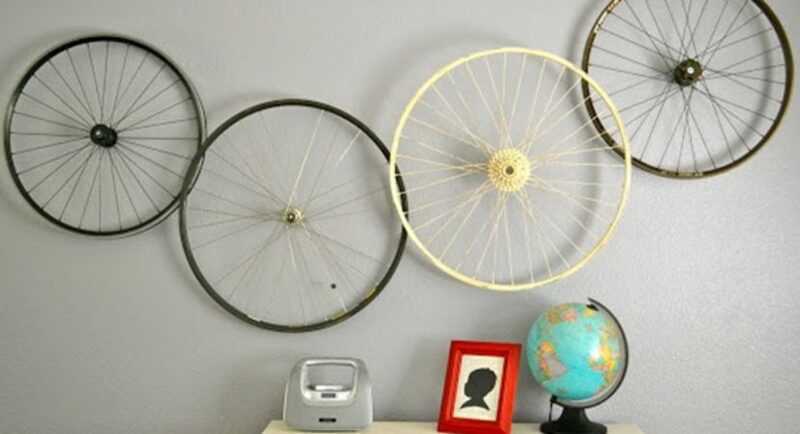 These are just a few ideas to get you started; do let us know about any ideas that you may have.